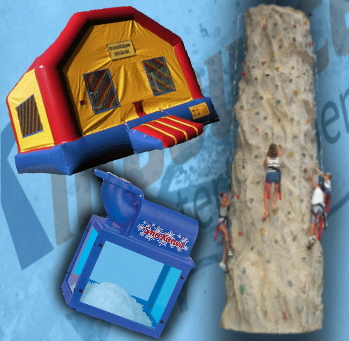 This package is for a 2 hour event and features the Rock Wall, a bounce house, and a snow cone machine. If your event is 2+ hours give us a call and we'll make a custom package. Snow cone machine come with supplies for 50-60 people. You can add more supplies if you need to.